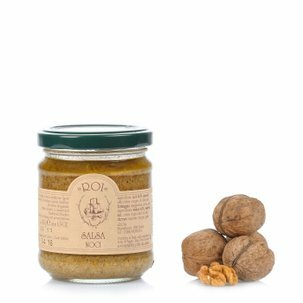 The Roi Red Pesto is a sauce made with Roi extra virgin olive oil, sun-dried tomatoes, cashews, garlic, walnuts, grana padano and salt. A delicious variety of the classical pesto, this sauce is perfect for enhancing your pasta dishes as well as an original way to add extra flavour to many dishes. And the flavour...it is the one guaranteed by Roi. 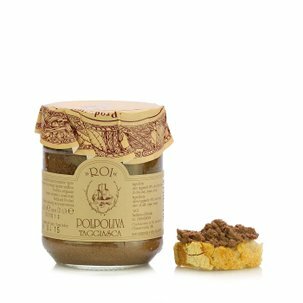 If you are passionate about the Red Pesto from Roi don't miss the value pack available from Dispensa di Eataly! Ingredients extra virgin olive oil 51%, dried tomatoes 27%, cashews, concentrated basil SOP* 7%, salt, wine vinegar, garlic, Parmigiano Reggiano (milk, salt, rennet). Acidity regulator: lactic acid. *without water. ALLERGENS: peanuts and pean For more information on product labels, please contact our Customer Service department. The information on the labels of the products may vary for reasons beyond our control, therefore, there may be discrepancies between the information on the site and that on the products delivered. Please always check the information on the product before consumption or use.